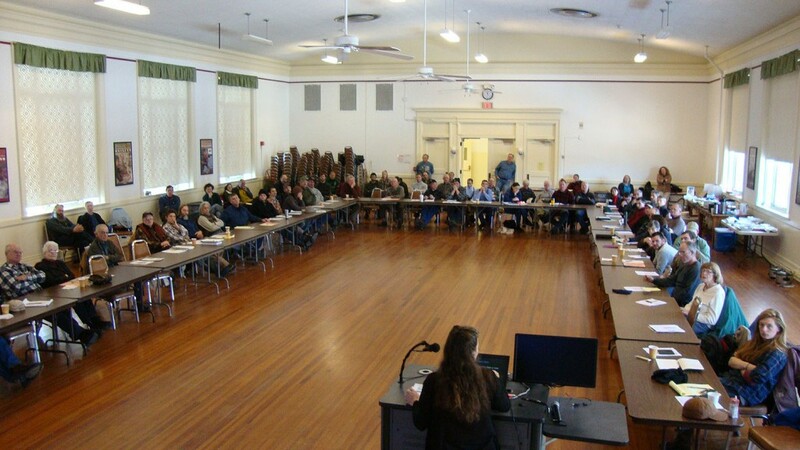 New York Certified Organic (NYCO) has set the dates for its Winter 2017 meetings, bringing grain and dairy farmers together with guest speakers on the organic crops and dairy production. The 2017 dates are January 10, February 14 and March 13. Each program begins at 10 AM in Jordan Hall, 630 West North Street at the New York State Agricultural Experimental Station, Geneva, NY. There is no cost or need to register to attend the NYCO meetings; participants are asked to bring a dish to pass at the potluck lunch. Round table discussions after lunch provide farmers the opportunity to ask questions and hear from the combined experience of the group. These sessions help advance organic production in New York and have been helpful to new and transitioning farmers as well as long-time organic producers. The New York Crop Insurance Education Team and Cornell Cooperative Extension provide support for these meetings. A brief description of how crop insurance can benefit organic farmers will be included at each of the meetings. The January 10, 2017 NYCO meeting will feature presentations by Bob Quinn of the Quinn Organic Research Center, Big Sandy, Montana; Dr. Mark Sorrells of the Atkinson Center for a Sustainable Future at Cornell University; organic producer Tim Christensen of Penn Yan, NY; and Sandra Wayman with the Cornell Sustainable Cropping System Lab. Bob Quinn leads the Quinn Organic Research Center that includes a 2,800-acre farm in Big Sandy, MT. The 4th generation farm transitioned to organic production in 1986. Work on organic grain varieties led to the redevelopment of Kamut, an ancient grain grown by the Egyptians. The farm also grows soft white wheat, durum wheat, buckwheat, lentils, peas, sweet clover, and flax. Quinn, a sought-after speaker on marketing and development of organic grains, will present his vision of where organic markets are going and how New York’s producers can prepare for the future at the January 10 NYCO meeting. Mark Sorrells, PhD. is the chair for the Atkinson Center for a Sustainable Future at Cornell University. As part of a research team there, he worked on the ‘Accelerating Production of Organic Grains in Western NY’ project sponsored by the Genesee Valley Regional Market Authority and Wegmans, the family-owned supermarket chain. Sorrells will review the results of this study conducted at the Cornell University Musgrave Research Farm in Aurora, NY. Tim Christensen farms with his father, Guy in Penn Yan, NY. He has been experimenting with different cover crops in his corn and small grain rotation. His decisions are based on the multi-layered objectives of protecting soil health, adding green manures, and qualifying for annual Conservation Stewardship Program payments. Christensen will share some of the success and failures he has had on his farm. Cornell Sustainable Cropping System Lab Research Technician Sandra Wayman will review work with the newly-developed perennial grain Kernza. The February 14 NYCO meeting will focus on how to diversity farm business with organic poultry. The March 13 session will feature speakers on nutrient balancing, crop production and alternative forage production. 2017 marks the 23rd season of the NYCO winter meetings that began in Klass and Mary-Howell Martens’ farmhouse kitchen in Penn Yan, NY. The meetings became increasingly more popular every year, moving to the Geneva site to accommodate more than 100 people at each session. As she promised one year ago, Mary DeBeer established her own biocontrol nematode rearing lab in Moira in Northern New York in 2016. The young agricultural entrepreneur is on the leading edge of business development prompted by the success of pest management research funded by the farmer-driven Northern New York Agricultural Development Program. ‘This new agribusiness development by a young entrepreneur is an added benefit to our regional economy and we are pleased it was sparked by the science developed with Northern New York Agricultural Development Program funding,’ said Jon Greenwood, co-chair of the farmer-driven research and technical assistance program serving Clinton, Essex, Franklin, Jefferson, Lewis and St. Lawrence counties. ‘With the development of her own biocontrol nematode rearing facility, Mary is leading the way for new business opportunities as a result of the long-term commitment the farmers of Northern New York made to find a science-based solution for alfalfa snout beetle,’ says Dr. Elson Shields, the Cornell University entomologist who pioneered the use of native NY nematodes as a biocontrol for managing the destructive crop pest. DeBeer, who earned an agronomy degree at SUNY Morrisville and a dairy degree at the University of Wisconsin at Madison, learned how to rear and apply the biocontrol nematodes with Cornell University Research Support Specialist Tony Testa who developed the nematode rearing protocol at the Shields Lab at Cornell. In the new facility at her family’s farm, DeBeer raises the nematodes and helps schedule their custom application by her father Ronald DeBeer of DeBeer Seeds and Spraying. In 2016 they tripled the number of farm acres protected by the microscopic worms proven to reduce alfalfa snout beetle populations and showing promise for managing corn rootworm in Northern New York Agricultural Development Program-funded research trials that Shields currently has underway on regional farms. The number of acres treated by the DeBeers has grown from 125 acres in Franklin County in 2014 to 435 acres across six farms in the county in 2015 to 1,200 acres on farms in Franklin and St. Lawrence counties in 2016. DeBeer gained three new customers in 2016 after the farmers discovered alfalfa snout beetle in their fields. 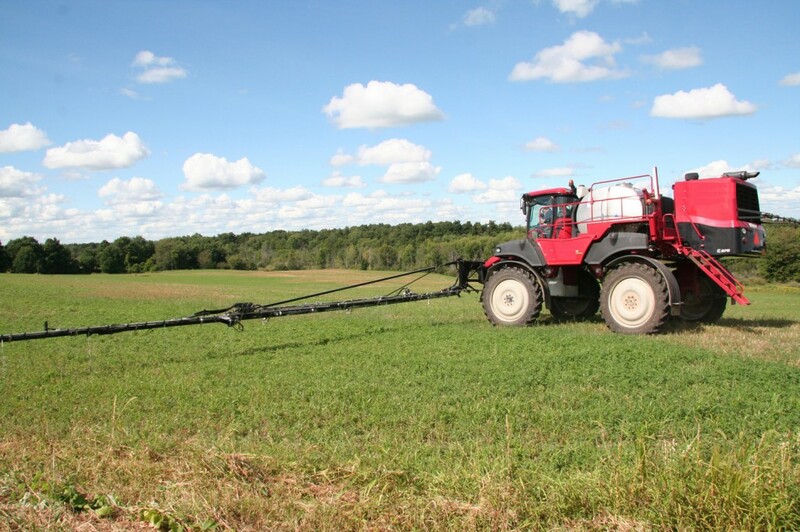 The insect can destroy entire fields of alfalfa, a high value dairy and livestock feed crop, in just one growing season. ‘My goal is to grow my nematode rearing capacity to supply other custom applicators and farmers who apply the nematodes on their own to protect their crops,’ DeBeer says. Farmers interested in applying biocontrol nematodes on alfalfa crops will find a how-to manual on the Northern New York Agricultural Development Program website at www.nnyagdev.org. ‘Scouting vigilance and proactive application of the biocontrol nematodes are key to limiting the spread and impact of alfalfa snout beetle,’ Shields notes. Funding for the farmer-driven Northern New York Agricultural Development Program is supported by the New York State Senate and administered through the New York State Department of Agriculture and Markets.